Arthur Zipf was born on 8 November 1839 in Baden. He married Mary Frances Reeves on 6 September 1860 in Newark, Essex County, New Jersey. He was a wagon maker, according to the 1870 census. Arthur Zipf became a widower at the 15 January 1874 death of his wife Mary Frances Reeves. He married Caroline Bieler in 1874 in Newark, Essex County, New Jersey, at Saint Benedict Church. Arthur Zipf and Caroline Bieler appeared in the US federal census of 1 June 1880 in Newark, Essex County, New Jersey, at 48 Oxford Street enumerated with the surname "Zief". Other members of the household included Arthur George Zipf and Johanna Sophia Zipf. Also in the household were children Mary (age 15), Florian (14), Lizzie (12) and Emma (8), all born in New Jersey. He was a blacksmith, according to the 1880 census. Arthur Zipf and Caroline Bieler appeared in the 1885 New Jersey state census in Newark, New Jersey. Other members of the household included Arthur Zipf, Johanna Sophia Zipf. Also in the household were children Florian A., Elizabeth, George A. and Emma. The following appeared in in Quarter-Century's Progress of new Jersey's Leading Manufacturing Centers (1887): Zipf Brothers, Manufacturers of Light Buggies, Carriages, Express and Fine Spring Wagons, Nos. 60, 62, and 64 Bowery Street, corner Oxford.—Messers. Zipf Brothers are carrying on general operations as manufacturers of light buggies, carriages, express and fine spring wagons, and also as horseshoers and general blacksmiths. The business of this house was founded in 1868 by the present firm, who have always obtained a liberal and influential patronage, owing to the unrivaled character of their work. The premises occupied by the industry is comprised in a three-story building, each floor having dimensions of 60x75 feet. The place is thoroughly equipped throughout for successful work and every improved appliance and implement is at command. Using nothing but the very best materials, carefully selected and thoroughly seasoned, and employing ten thoroughly experienced workmen, Messrs. Zipf turn out a line of fine carriages, etc., made in any of the approved modern styles, which the skill of the present day can produce. Both members of the firm are practical exponents of every branch of their trade, and all the operations in wood and iron working, trimming, upholstering, and painting are carried on under their personal supervision. A specialty is made of fine work. The members of the firm, Messrs. Arthur and John G. Zipf, are natives of Germany, and came to the United States early in the fifties. The following appeared on 12 July 1890 in the Niagara Falls Gazette: A. F. Preuster and Arthur Zipf of Newark, N.J., are the guests of A. B. Preuster of Suspension Bridge. 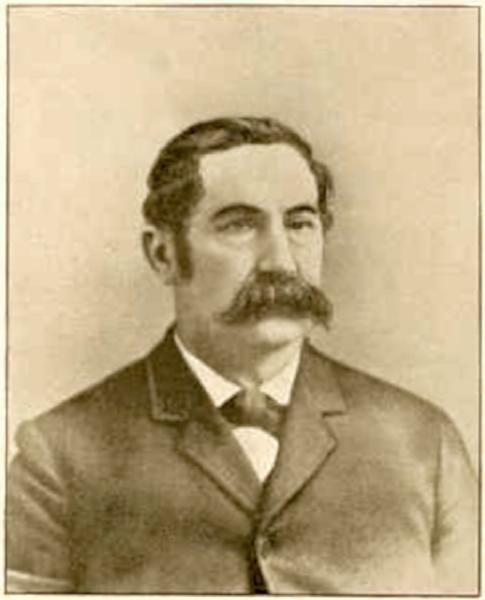 The following appeared in in the 1893 souvenir publication Newark N. J. Illustrated: For more than a quarter of a century Mr. Arthur Zipf has conducted a general wagon manufacturing, repairing and horse shoeing industrial establishment at Nos. 60 to 62 Bowery, corner of Oxford streets, where he has built a prosperous trace by doing the right thing at the right time, always keeping his word and making some of the best wagons ever turned out. When a shoe is put on a horse in his shop, it is put on to stay. That those who have not the pleasure of knowing Ex-Alderman Zipf, as he is now familiarly called, personally, our artist has transferred his photo to these pages. It is a speaking likeness, indeed, and shows the manner of man he is. While keeping a close eye on his business and watching the progress of the wagons, upbuilding, from the smoothing of the timber, which must always be the toughest and most elastic, to the finishing touches of the painter’s brush, he has still been able to find time to represent the people of his ward in the Common Council in most acceptable manner, and is highly respected by all who know him, as a progressive and good citizen, and a self-made man, who is a credit to the city of Newark, and especially to the particular branch of industry in which he is so largely interested. The output of Newark’s shops and factories are justly celebrated the world over, not only for the fine quality of the work done, but for the sterling merit of the goods as well, and it is just such men as ex-Alderman Zipf, who turn out nothing but good, honest work, that have been the means of gaining us such an enviable reputation as a manufacturing community. The business with which he is so thoroughly identified, that of wagon building, is one that is necessary to the business of any large city, and affords ample scope for the gaining of a high reputation, and Mr. Zipf has become justly celebrated on account of the excellence of his work. Arthur Zipf and Caroline Bieler appeared in the US federal census of 1 June 1900 in Newark, Essex County, New Jersey, at 91 Hillside Avenue. He was a wagon manufacturer, according to the 1900 census. Arthur Zipf and Caroline Bieler appeared in the US federal census of 15 April 1910 in Newark, New Jersey, at 91 Hillside Avenue. He was self-employed as a wagon manufacturer, according to the 1910 census. The following appeared on 23 September 1913 in The Niagara Falls Gazette: Mrs. Arthur Zipf of Newark, N. J., has just returned to her home after visiting her daughter, Mrs. Herman Rieger of Michigan avenue. Mr. and Mrs. Herman Rieger, accompanied by Mrs. Arthur Zipf, have returned from a trip to Upper Canada. Arthur Zipf and Caroline Bieler appeared in the 1915 New Jersey state census in Newark, New Jersey. Arthur Zipf died on 21 April 1918 at age 78. Caroline Bieler became a widow at his death. He was interred at Saint Marys Cemetery, East Orange, Essex County, New Jersey.